Are you looking to enhance your web page and blog site? 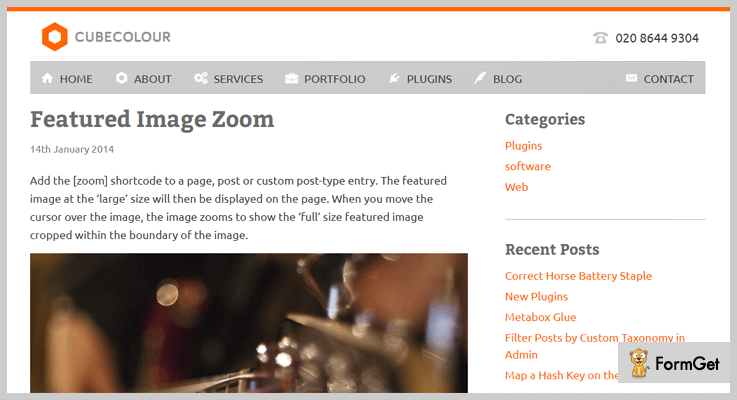 Use the best image zoom wordpress plugins and increase the visibility of your web pages and posts. Image zoom plugins are specially designed to let your visitors have a detailed view of images on your website. Moreover, an image zoom plugin gives the clarity, easy view and complete details of your products like viewing details of photographs and other artworks. In this post, I’ve collected the list of some 7+ Best Image Zoom WordPress Plugins which are both free and paid. All these Zoom plugins are integrated with jQuery and are extremely effective in use. Further, they provide a lot of amazing features in a simple way. Let’s start with these plugins one by one. WPB image zoom PRO plugin for WordPress is the most powerful plugin for Image Zooming purpose. For any kind of e-stores, having an image zooming is very important and this plugin here serves as a boon. Moreover, this plugin is highly responsive and acts as customizable image magnifier plugin. It can maximize your conversion rate up to 35%. You can also zoom your gallery images with its product gallery slider. Its regular license starts from $29 for a single site and extended up to $149 for unlimited sites. The plugin has 3 different types of zooming style and different types of lens style. Provides product gallery images with a Lightbox popup with zoom images. It can provide exclude Zoom for specific products and category. You can anytime customize the zoom window or zoom lens size. Zoom Magnifier Plugin for WordPress is a clean, simple and minimal image zoom plugin. This lets your customer to view and zoom the products for observing the details before buying the products. The plugin allows you to set to zoom the products either inside the zoom box or on a separate zoombox in the right place. This plugin charges from its customer for a single site just Rs. 1, 286 and extends up to Rs. 3,315 for more than 30 sites. Provides an opportunity to activate zoom magnifier on a smartphone. You can set the width and height of the zoom box. The plugin is completely multilingual. WP image zoom PRO plugin is the most configurable WordPress image zoom plugin in the market for WordPress site. The plugin completely supports responsive designs. WP image zoom PRO lets you can set your own text on the images. You can apply the zoom by clicking on WP Image Zoom. Buy its service at just $48.90 for personal use, at $97.90 for 10-sites for developers and buy it at $207.70 for big agencies. The plugin is completely responsive and compatible with WooCommerec variation products. It has an ability to customize the zooming window positions. The plugin is compatible with FlexSlider, OwlCarousel etc. It has an overall 5 out of 5-star ratings from professionals. Before a customer buys any product, they want to be sure of its quality and designs. Image Zoom Pan WordPress plugin is one of the qualified plugins for image zooming. Via shortcode the plugin allows you to add a clean & smooth image zoom pan to your WordPress site. 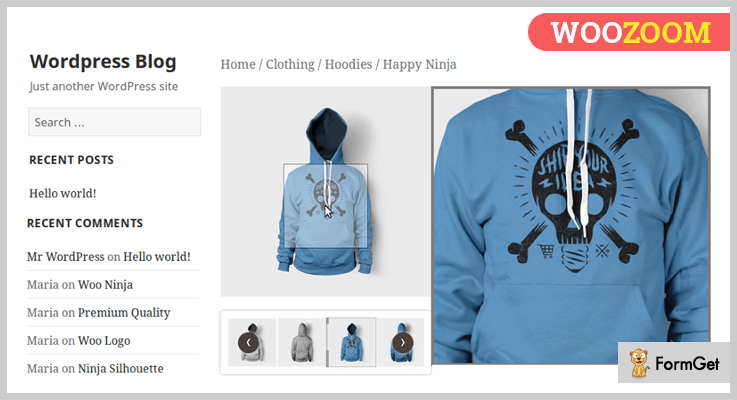 You can make your customer satisfied by zooming your products gallery image. Take its regular license at just $15 with 6-month support and extend its services more at $75 only. Completely responsive, flexible with small screen devices too. Add or edit the Zoom Pan without touching any technical codes. Allows multiple Zoom Pan instance on same pages. Unlimited gallery images options are available. FAQ and source code are available in the package. 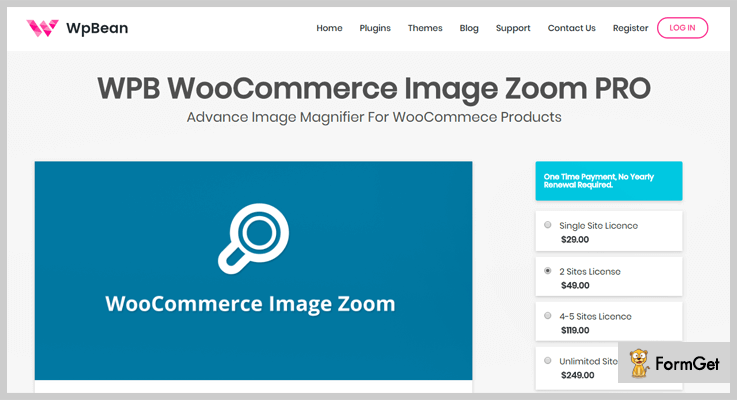 WooCommerce advance image zoom allows you to display magnified images to your customer. It’s an easy-to-use image zoom plugin which allows a customer to enlarge the images by remain on the mouse. It is fully responsive and comfortably works with all the WordPress themes and designs. Its advance setting allows you to customize the site from various things such as height, color, zoom window, fade-out-speed and more. In this way, you can easily configure the plugin into your site. The plugin comes with its regular license at $14 with 6-month support and extends its license at $80 only. Allows setting zooming feature effortlessly and quickly with its advanced setting panel. The plugin is user-friendly configurable magnification settings. Compatible with all WooCommerce plugins. 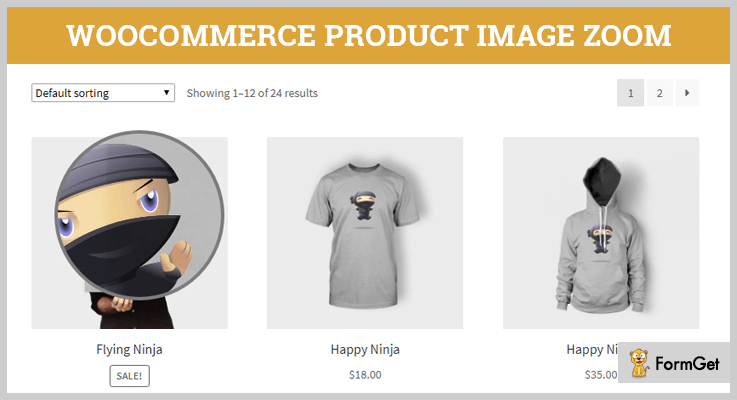 WooCommerce product image zoom plugin comes with a multitude of options. It provides 3 images zoom options that are, zooms in a magnifier, displays a 360 degree or a lightbox. The plugin contains numerous of customization options that will help you to modify the image preview according to your way. 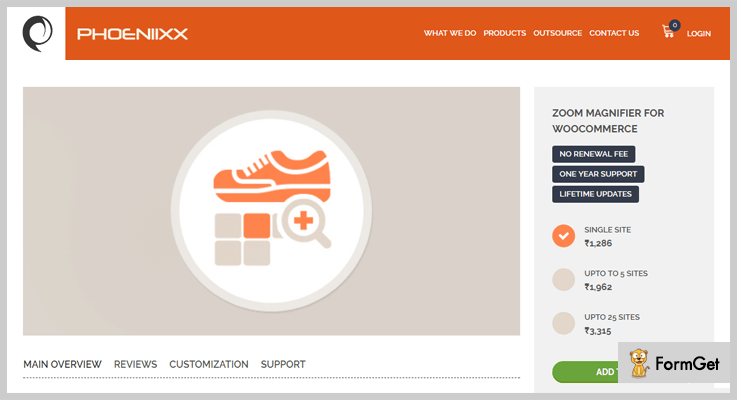 You can customize the tools to ensure a clear product information for your users. The plugin offers its services at just $ 39 and extended its services from $149 for the support of 6 months. With LightBox tool quickly select the preview image in a full-size. The plugin is completely optimized for desktop, mobile, and many more. Provides zoom inside or outside the images. Option to exclude the product or category from image zooming. Feature images play an important role in your custom posts, blogs in a site. This plugin provides a versatile featured image which will display on the pages, posts and whenever you move your cursor on the image. The plugin supports mobile and touches as well where the image will also be zoomable. Download this plugin from its official site i.e., wordpress.org and enjoy its services at Free of cost. It ensures that your post or pages have a featured image defined. With the help of full parameter, you can change you zoom overlay images. Provides the size parameter for different images size. This is the one of the best, powerful and free WordPress plugin for images zoom. It is a product magnifier-zoomer to verify the products in an easy manner. This plugin is compatible with WooCommerce sites to enhance their sales and experience by providing clear product details. It showcases the products in a variety of styles. The plugin is completely Free. Download it from the official site wordpress.org. With its image easing option activate smooth magnification for better UI experience. Completely mobile friendly and require easy to set up. It allows excluding categories anytime. And here my writing come to close. 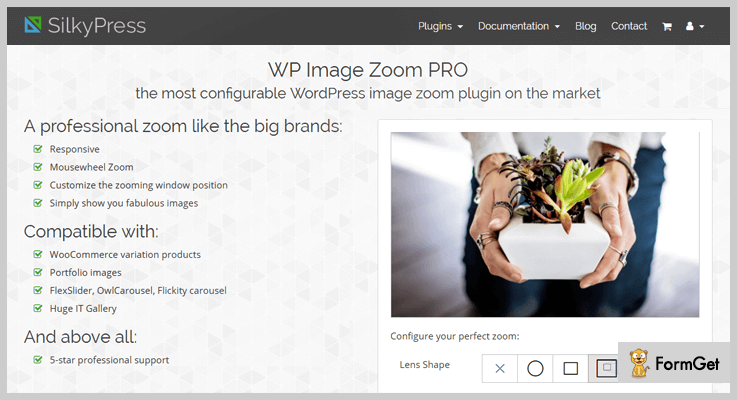 Listed here are 7+ Top Image Zoom WordPress Plugins to make your business more profitable. I hope this list of plugins are going to be helpful for your website. If you liked our post do comment us below!